Grab your glove and bat. If you’re a baseball card fanatic you won’t want to miss this. 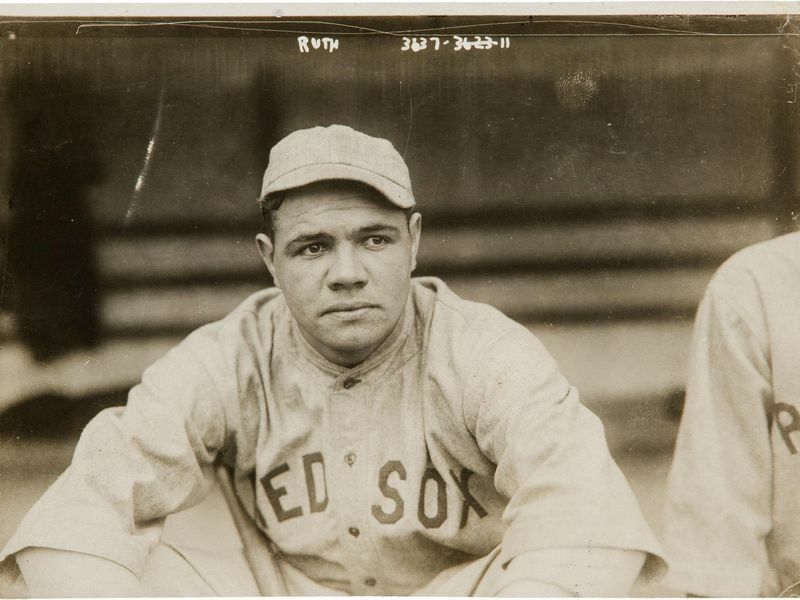 A 1921 E121 American Caramel Babe Ruth card has surfaced and is up for auction. Play Ball! When Ruth joined the MLB in 1914, the home run record in a season was 27, not a bad number by any means. But thanks to his great talent, Ruth doubled this record within 7 years. During his 22 seasons he managed to hit no less than 714 home runs, placing him at third place in the history of MLB. Babe Ruth. Photo via George Grantham Bain / Wikimedia. Babe Ruth’s entry into baseball was a real game changer, and so is this newly surfaced baseball card. 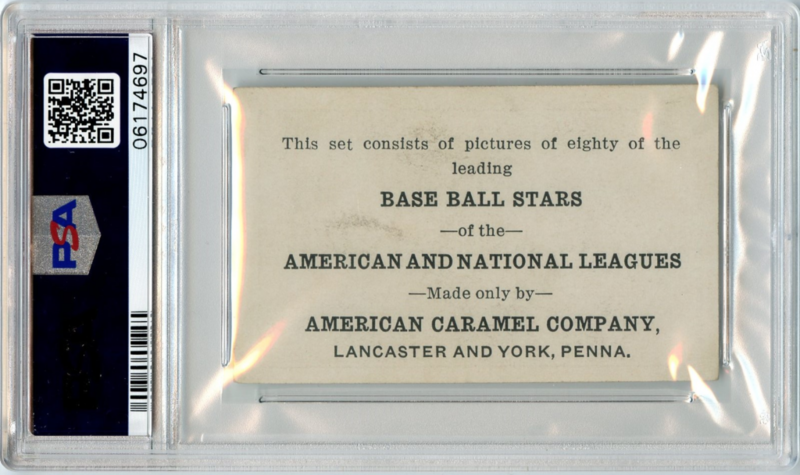 As collectors may know, there are only 68 examples of all three E121 Ruth variations known to the market, and the 1921 E121 American Caramel card is the highest graded one. Because they are extremely rare, the cards have a tendency to remain in the hands of owners for decades, and over the last several decades only a few have been up for sale. A 1921 E121 American Caramel Babe Ruth card. Foto: Small Traditions. There are three key reasons which make this card so significant. For one, 1921 marks Ruth’s second season with the New York Yankees – and it was, without a doubt, his very best one. 177 runs, 204 hits, 44 doubles, 16 triples, 59 home runs, 168 RBI, 17 stolen bases, 145 walks, a .512 OBP and 1.359 OPS. Need we say more? Secondly, the design of the E121 is identical to some very rare cards from 1917, like the E135 Collins-McCarthy, D350-2 Standard Biscuit, D328 Weil Baking Co., and H801-8 Boston Store. The card’s similarity to the iconic Babe Ruth rookie card from 1916 makes it even more coveted. The card in question, available at Small Traditions. Photo: Small Traditions. Lastly, thanks to his excellent season, 1921 wasn’t only Ruth’s second season with the Yankees but also the year he became the true legend that he still is to this very day. The American treasure Ruth rose to fame and changed the game for all time. 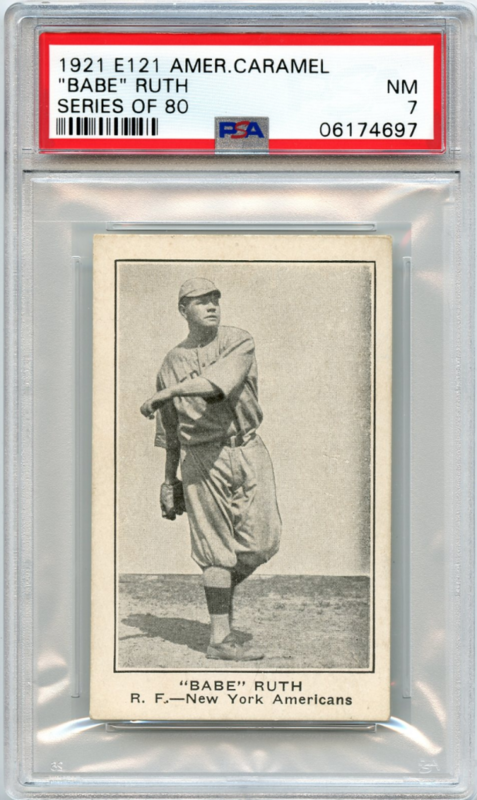 Don’t miss out on this fantastic, extremely rare A 1921 E121 American Caramel Babe Ruth card. The card is sold at Small Traditions and will be up for sale in their August 2018 Summer Classic Auction. Check out Small Traditions’ entire range directly at Barnebys.